Industrial Internet-of-Things (IIOT) is transforming manufacturing operations. Successful adoption of IIOT requires understanding today’s factories, their diverse inhabitants, and the obstacles to further digitization. It also requires anticipating how these conditions and inhabitants will change in the future. As organizations maneuver through this transformation, the narrative often centers on the trope that technology enables and humans hinder. Our work suggests the opposite. Humans will have plenty to do in the future factory and will be critical to transformation success. Further, workers see change as critical for maintaining competitiveness of both themselves personally and their companies. 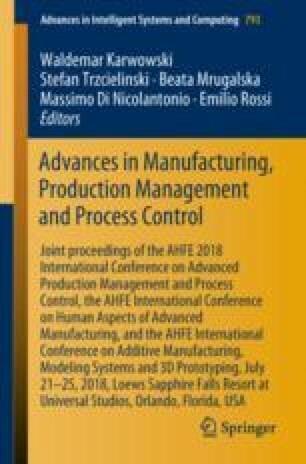 This paper draws from a study of 145 manufacturing workers and leaders from a range of manufacturing settings. It identifies triggers that motivate consideration of smart technologies today, examines participant expectations for the future, and uses personas as a mechanism for examining differences that are likely to influence the design and adoption of these technologies.